One day on campus I noticed a tree bearing this fruit that looked familiar. 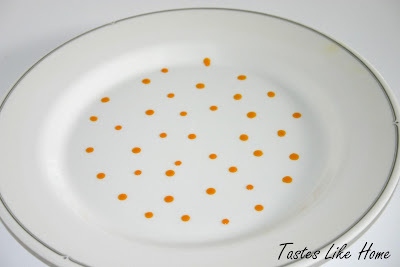 Somewhere in the recess of my mind I recalled my mother having this strange looking thing in the kitchen and using it to add colour to a stew she was making. Sure enough, it was indeed an Annatto tree. Read more about it, here, here and here. 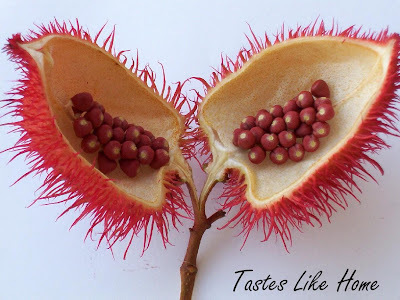 I couldn't believe that no one else around me was grabbing at the tree laden with Annatto to make the precious achiote oil and achiote paste that is so prevalent in Mexican, Latin and some Caribbean cuisines. 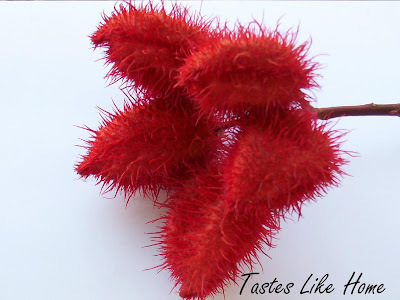 This is the annatto fruit, the spikes are not as sharp as they look, they are soft to the touch. It blossoms in bunches as shown above. 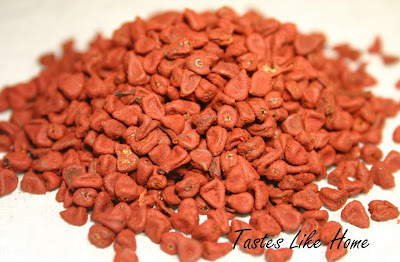 This is the fruit cut open with the annatto seeds clustered like grapes. 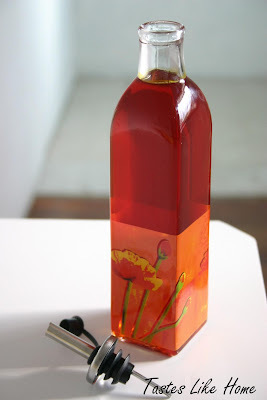 I use my achiote oil to cook with like regular oil when I am looking for some colour and flavour. I also use it for stews and other dishes that call for some sort of colouring. 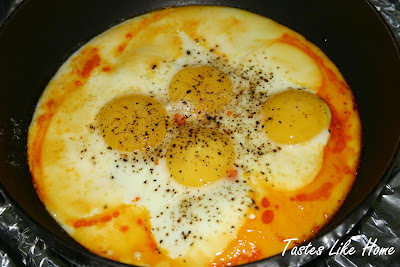 Here I used it to cook some eggs.